Virginia Repertory Theatre Uses Classical Music in World Premiere "The End of War"
Virginia Repertory Theatre opens the World Premiere of “The End of War” by Richmond native David L. Robbins this weekend at the Sara Belle and Neil November Theatre. The play is set in Berlin during the final days of World War II and examines the fears and atrocities of war from the perspective of a brilliant young cellist, her mother who is harboring one of the city's last Jews, and two Red Army soldiers fighting their way through the Eastern front. 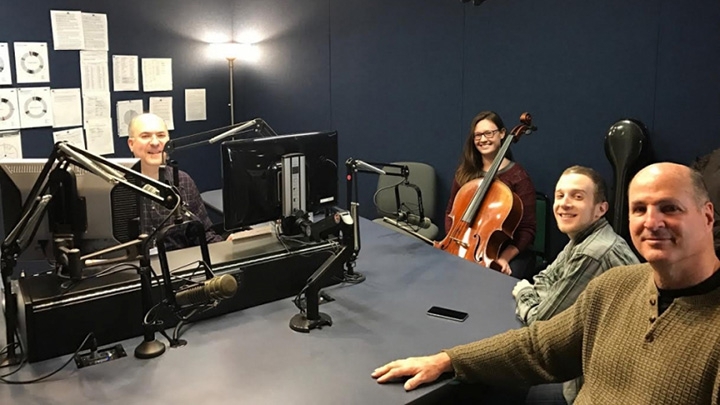 I was thrilled to have David Robbins, cellist Erin Snedecor and sound designer Julian Evans visit the 88.9 WCVE studios to talk about how they weaved solo cello works into the stage presentation. Enjoy our interview and check out the play, which runs through March 26th.